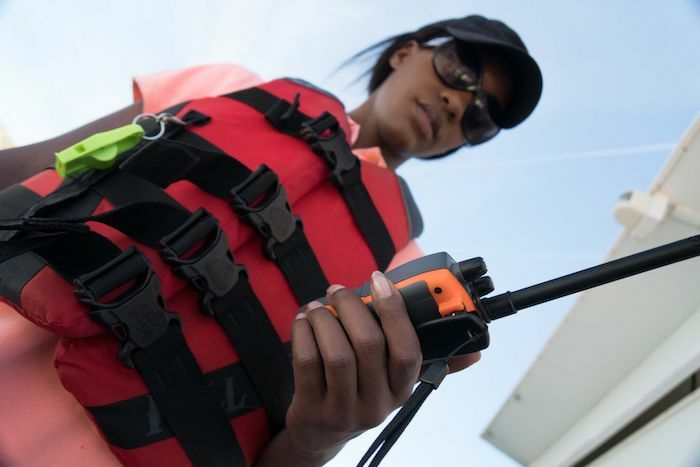 Different types of communications equipment work in different areas, so a boater should make sure the equipment they have will work where they are boating. A boater should carry at least two communication devices that will work when wet. VHF FM-DSC marine band radios lets a boater talk to other boaters, as well as to authorities on land. Digital Selective Calling is a method of alerting boaters in distress of their location. Emergency Position Indicating Radio Beacon (EPIRB) or Personal Locator Beacon (PLB) transmit the boater’s location, enabling the boater to get help quickly if needed. Cellphone are only helpful if kept dry and when in range of a cell phone tower. *Also see U.S. Department of Homeland Security/United States Coast Guard Navigation Rules, Rule 37, Distress Signals.